On Andrew Bird's Latest, Real Life Takes The Reins "All my songs are personal on some level; it's just a matter of how much that personal thing is buried." Bird says that on the new album Are You Serious, his private world has bubbled to the surface. Andrew Bird's new album, Are You Serious, is out now. 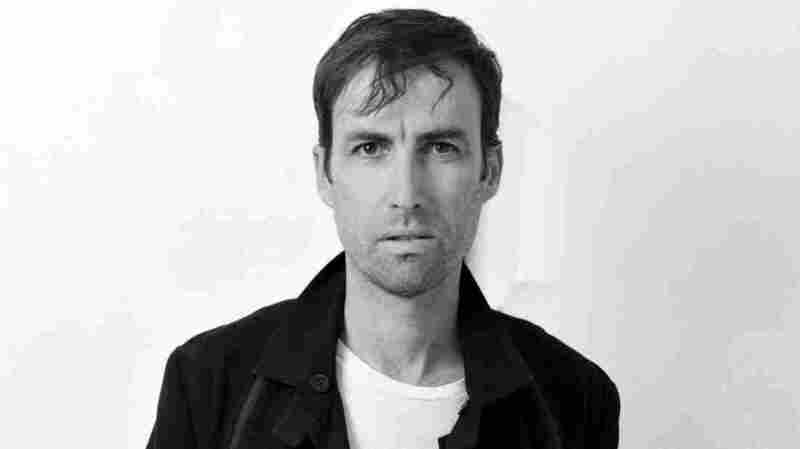 Multi-instrumental musician, Andrew Bird is known for his precise composition, his impeccable instrumentation, his playful, ambiguous lyrics — and, yes, his whistling. But he says that on his latest record, Are You Serious, his personal life nudged him into a radical change of approach. "In the past, what I'd do is I'd try to find just the right vowels and syllables, start speaking in tongues, and work my way from nonsense towards sense, finding the right shape for the melody," Bird says. "This record happened a bit differently. I had more of a strong intent to tell something that I had been through, and that was a bit new for me. All my songs are personal on some level; it's just a matter of how much that personal thing is buried. In this case it's quite close to the surface." In the past five years, at lot has happened in Bird's life. He has gotten married, had a child — and his wife battled cancer. On the song "Valleys of the Young," he sings about the gulf that he felt develop between himself and his childless friends after his son was born. "You know, New York is a land of single people, mainly," he says. "And we were kind of pioneers amongst friends, in this realm of starting a family. So we didn't have too many peers. We were very aware of that divide that suddenly happens." He says his son's birth also changed his perspective on writing lyrics. "I'm just a very classically guarded, reserved person," he says. "And I've always had this feeling of 'Why, just because I'm a songwriter, should do I need to confess my private feelings?' And then having a child kind of makes you there in the present. That's been good for me; I think that's kind of unfrozen me in a lot of ways emotionally, and put more heart in my songs." Another song on the new record, "Puma," captures Bird's state of mind as his wife began to take ill.
"I would walk around thinking about these unseen subatomic particles lacerating our bodies all day," he says. "[The lyrics are] just saying, 'She was radioactive for seven days.' That's exactly what happened. She had to take a radioactive pill and hole up in our studio apartment in New York alone, while I had to take our son away, so he wouldn't be exposed. And that forced separation. I just thought, 'What's the point of disguising this? The reality is crazy and mind-blowing enough.'" But ultimately, Bird says, "Puma" is a hopeful song. "It's a celebration of how she dealt with this incredibly scary thing with humor."